Alaska Airlines “super fans” are easy to spot. They can be found carrying around their very own mini plane, or glued to the window trying to capture a photo of the airplane’s winglets. 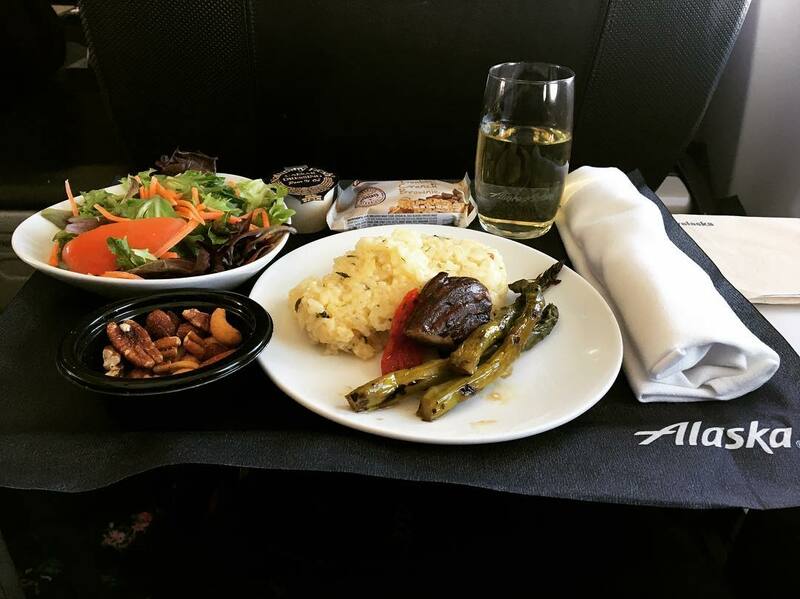 They can be overheard talking with a flight attendant like they are longtime friends, or saying, “I love Alaska Airlines!” when seated at an airport bar. They are experts on Mileage Plan, inflight amenities and the pancake machine at the Alaska Lounge. 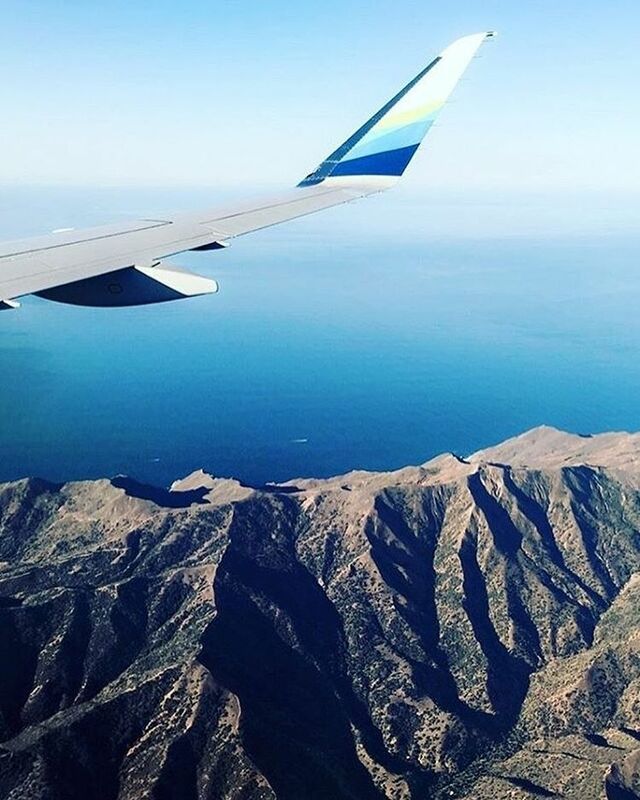 The feeling of love is mutual – are you an Alaska Airlines super fan? 1. 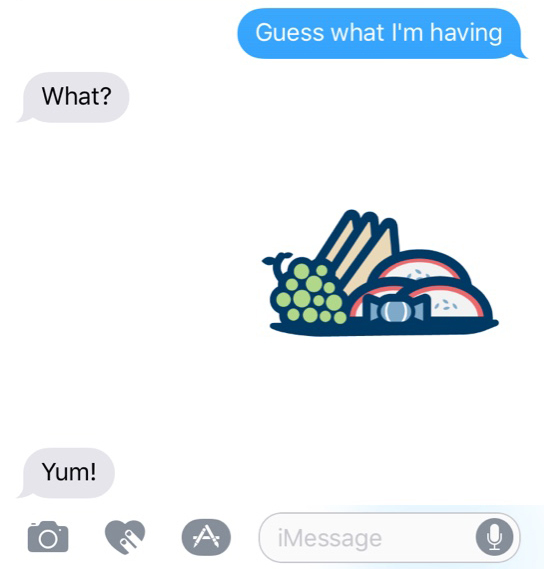 You think the pizza emoji is so 2016. You’re all about that Fruit & Cheese Platter sticker. And with Free Chat on Alaska, you can send that sticker while indulging in a Fruit & Cheese Platter. Mind blown. 2. 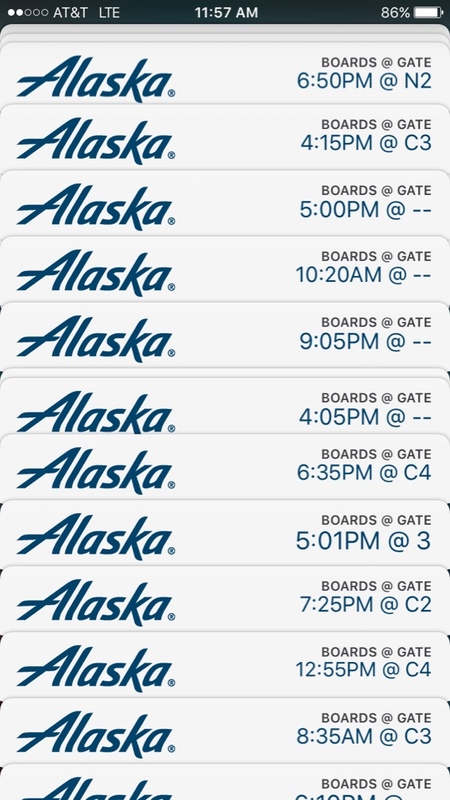 You have hundreds of boarding passes from past trips stored on your phone from Alaska’s mobile app, and you just can’t seem to let them go. Especially that one from Maui. 3. Your friends think you’re generous because you offer to foot the dinner bill with your Alaska Airlines Visa Signature® card. Little do they know, you just want the miles for your next international getaway. 4. When you get your annual companion fare, distant friends and family suddenly re-appear. The fiancé of your second cousin once removed suddenly wants to take a trip with you, and you don’t even know if you’re invited to the wedding. 5. Your signature dance move is one inspired by flight attendants’ safety briefings. 6. 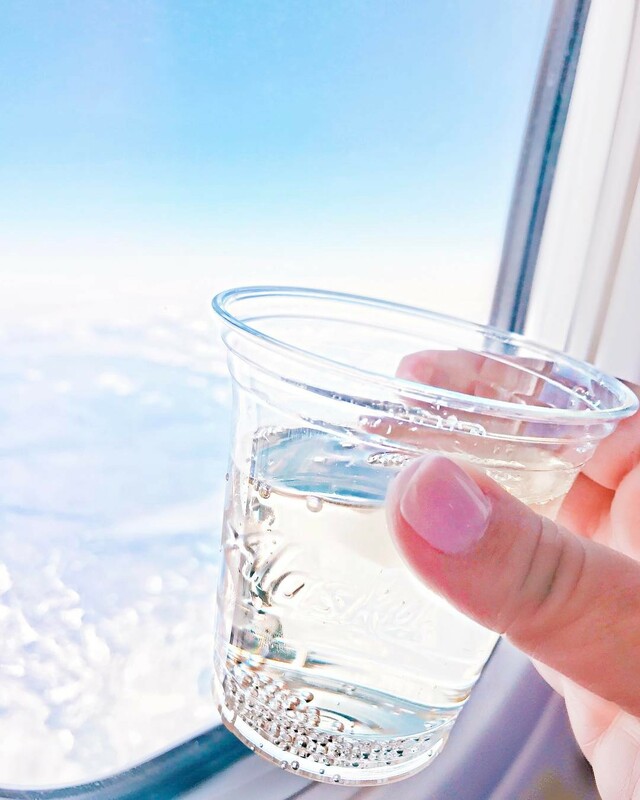 You celebrated your engagement with a Prosecco toast at 31,000 feet. 7. Your engagement actually took place at 31,000 feet. 8. 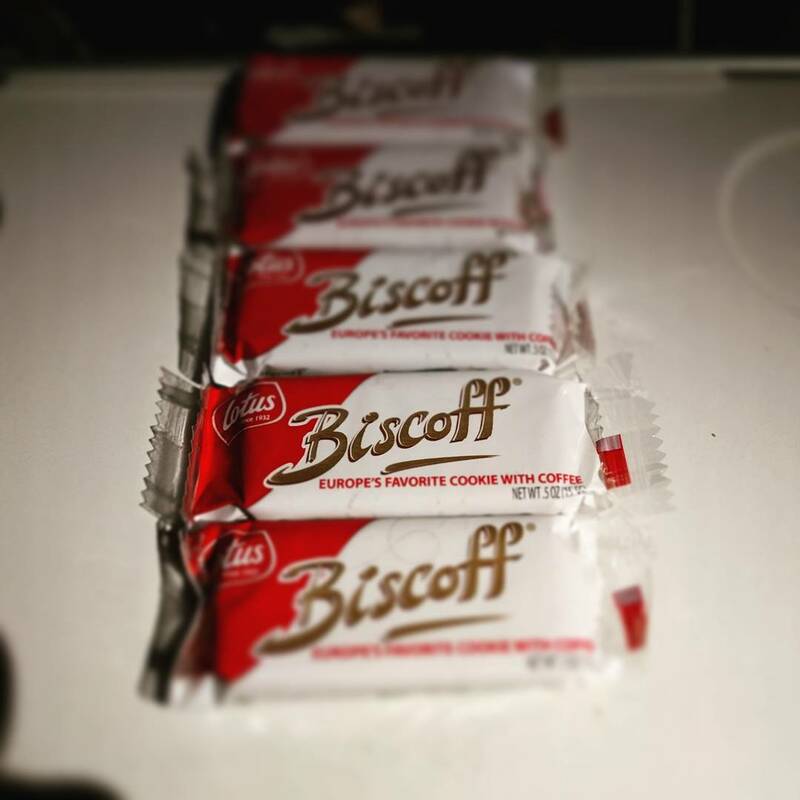 You have a dish full of Biscoff cookies and jcoco chocolates from those times you successfully stuck to your diet while traveling. Now that you’re at home, they are on your kitchen table, staring at you and testing every bit of your self-control. 9. 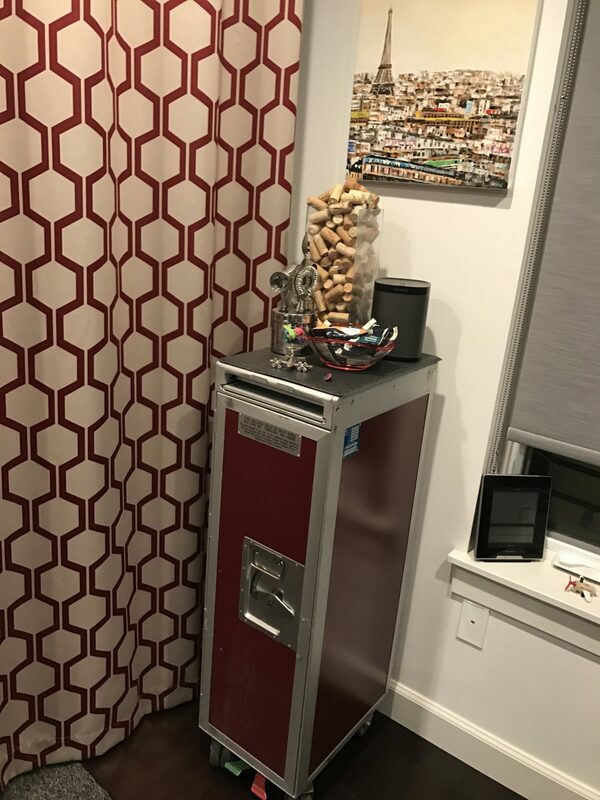 You have a retired beverage cart that you use as a mini bar at home. You even invest in little bottles of Sun Liquor rum and beer from your favorite craft breweries for the full experience. 10. 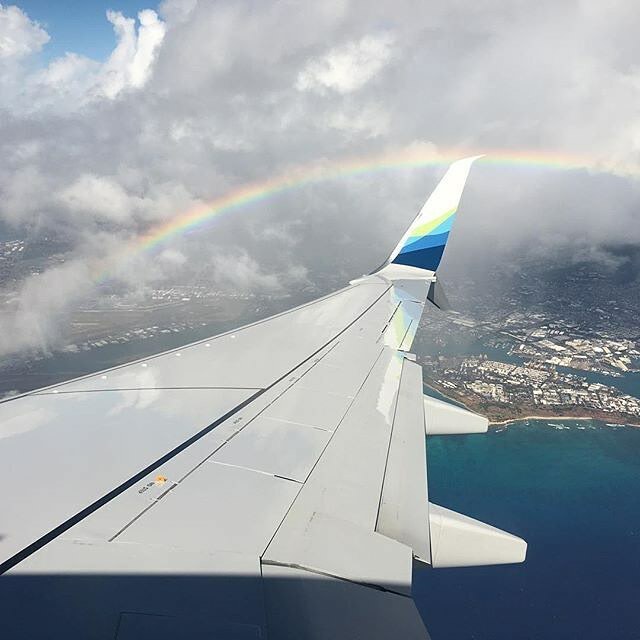 Your first and last vacation photo is posted mid-flight, tagged #iFlyAlaska and is a shot of a winglet. 11. 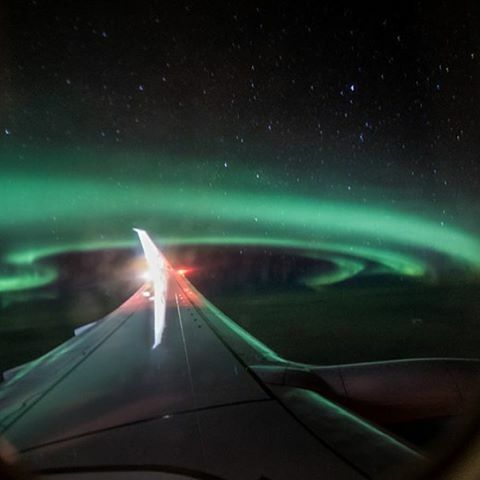 Your phone’s camera roll has more shots of an Alaska Airlines winglet than your dog, or your sibling’s new baby. And this somehow does not feel so wrong. 12. All of your friends know you achieved your MVP status, thanks to the humblebrag you posted to Facebook about your most recent upgrade. 13. You know the members of Alaska’s Social Care team by name and can’t wait to continue your chat with Ryan or Michael during your trip. 21 comments on "13 signs you’re an Alaska Airlines super fan"
When are you going to have the Alaska Airlines stickers for Android? Love speaking to a fellow Pacific Northwesterner when I call. I can even understand them, and they don’t read a script of “I’m xxxx, and I’m here to see that you get the best possible service” and don’t close with “Now have I answered all of your questions.” They are just courteous and respectful people. Its going to be very strange if we ever run into each other. These are all sooo true, ha! Or when you wear your Alaska Airlines ballcap that you bought from the company store, and people ask you if you work for the airlines! And yes, I want a retired bev cart too, please!!! Or if you own the Alaska Airlines “I love the smell of jet fuel in the morning” coffee mug. LOL! That’s funny how many of these things I actually have…. You are also a superfan when you habitually watch YouTube videos of Alaska Airlines taking off and landing in various cities…..especially in Seattle and cities in the state of Alaska! Still my dream airline to fly for! Oh no, I thought i was the only one who did that! You know your a fan when you’re laptop home screen is the logo!! …When your dog literally has enough miles on Alaska to have earned his own MVP status. I love hearing “Thank you for being a loyal Alaska flier. We appreciate your business”. And it’s said with sincerity and a smile. That contributes to my Super Fan attitude. This is so real!! Also, where can I get a beverage cart like that?